The largest number of South Asian and Sanskrit manuscripts in North America. 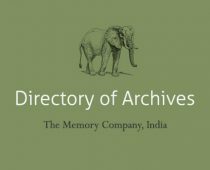 Manuscripts and typescript documents of 34 Indian princely states. A resource that provide books, images, historic records, and audiovisual materials from all over the world to anyone with Internet access.